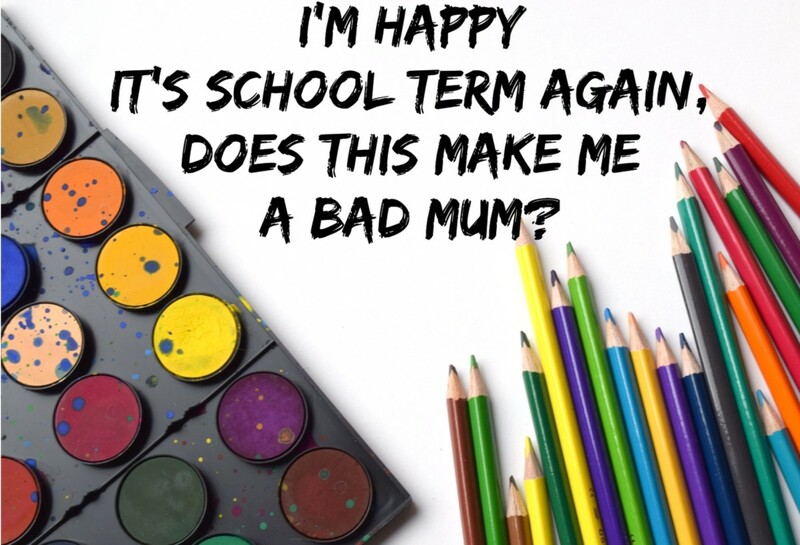 Blog I'm Happy It's School Term Again, Does This Make Me A Bad Mum? That’s how it feelt in the last few days. Listening to my friends how they are having emotionally tough times as their toddlers are starting in the nursery or with a child minder. Most of my friends (just like myself) are typical helicopter parents to small children. But even though I feel like I’m being overprotective and worrying excessively sometimes, I was soooo looking forward to September for him to be back to nursery. I saw some funny mummies taking first-day-back-to-school photos to the next level by posting one with a grumpy child and a happily jumping mum. And then I saw the comments too, mainly things like: “you shouldn’t have had a child if you’re so happy to get rid of him“. Or, people simply boasting about how they homeschooled five children. This made me feel guilty. (Well, not the homeschooling part, because I can’t wrap my head around that thing.) He just turned two not long ago and I’m already getting rid of him for three hours every weekday morning. Then I remembered, Bobcat not only loves his nursery, but he started to develop his language skills a lot faster, since I wasn’t there to attentively read his mind. He had no choice but to start to communicate. It’s a lovely nursery with enthusiastic professionals and all the kids love them. (I strongly believe that nurseries are better than a one-to-one solution for being in company, copying, developing social skills, and much more.) To be honest, before him started to be more vocal I have seriously questioned my parenting skills. I’m far from being a teacher type personality and I felt I’m letting my son down. But I read books and blogs, bought special toys, did plenty of floor time, took courses to help him to speak. Then last year, being heavily pregnant and now with a very demanding baby I find it difficult to devide my time equally between them and my other chores. Bobcat of course, finds it hard too, not having my undivided attention like before. I felt guilty (again) thinking that I must be doing something really wrong: just can’t get things done and I need a day to consist of 36 hours at least. I realised: no, looking forward to the nursery start does not make me a bad parent. It makes me normal. Normal, as in my dictionary: maintaining a healthy balance, providing him with quality education and fun time, respecting myself and enjoying some “me time”. I’m sure you’re a great company though 🙂 They just need other people to interact with and things to do too, just like us. Mine gets bored so easily, needs constant attention.